Does a Franchise Consultant Add Value? 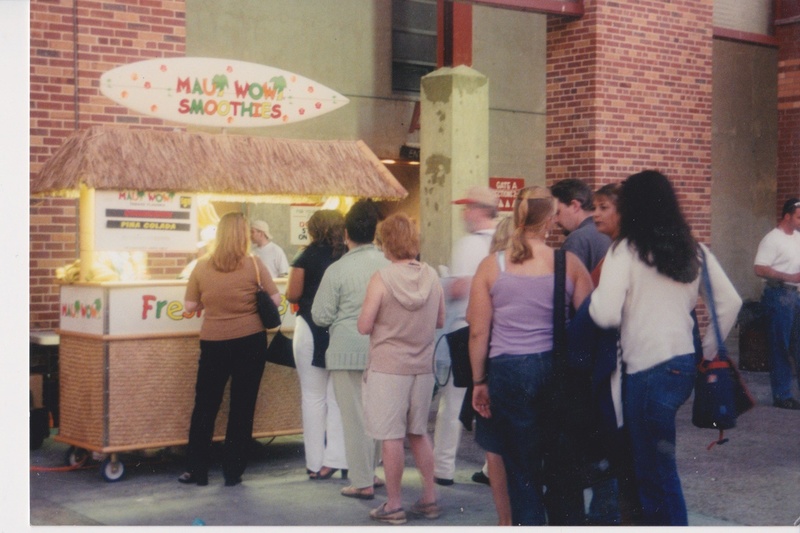 In 1999, my heart was set on buying a new, up and coming ice cream franchise. The location near my brother’s house in San Diego, had lines every evening. To my novice business mind, that spelled success and meant it was a great concept, too. By the grace of God, before plunging into buying that franchise, I found a reputable franchise consultant who schooled me on how to perform a proper due diligence on a franchise. I did not know my consultant or her background beforehand, but thank goodness, she was proficient in franchising and had 20 years of franchise operations experience before becoming a consultant. I heeded Karol’s advice. I called the representative at the ice cream concept and told him I decided to look at some other concepts so that I can do a comparison. When I told him that I was working with a franchise coach, the guy who had been talking to me like we were long lost brothers turned into a different person right there on the phone. He told me that franchise brokers and consultants are con artists. They will only direct you to business opportunities that will benefit them with a big commission check. He continued to try to discredit Karol like she was his opponent going to a Presidential race. It made me so uncomfortable that I decided that even if he was correct, I wouldn’t work with him any longer. It turns out that he was wrong and Karol was right. That ice cream franchise sold hundreds of units over the next few years but ended up closing many more units than they were opening. The slanted franchise agreement finally caught up to them. Now, 18-years later, that entire franchise system has pretty much collapsed. I have not thought much about that incident until recently when a franchise development person, who doesn't know me at all, challenged my ethics, honesty and credibility. I got to thinking, why would a franchise sales person get angry at a franchise consultant? Why wouldn’t a company use a consultant or broker network in the first place? The only reasons I can think of is that the company is greedy and does not want to pay for a well-educated, vetted and financially verified franchise prospect. Would a franchise company rather just sell a franchise to anyone who can write a check that will clear? Or, do they not want perspective franchisees to be educated about what it will really take to be a success in their concept. The fact is that there is a hard cost to acquiring a new franchise owner. The franchisor either pays a consultant or invests in advertising on-line or in magazines. Or worse, they spend lots of time and money to stand at a franchise Expo for three days giving out pens and stress-squeeze balls to tire kickers. Since 2005, as I've work with franchise candidates around the country, my promise to them is to make them a franchise expert like me, but without going through the lessons and spending the money like I did. I offer candidates the advantage of learning from my successes AND mostly, my failures. The first franchise that I bought, which Karol directed me to, was a huge success. I was the #1 highest revenue producer by my second year in business among 200 other franchise owners. I admit, I was cocky after selling my first franchise and semi-retiring at age 41. I didn’t talk to anyone about buying my second franchise. It failed miserably but that is what makes me a franchise expert today. The company made a ton of mistakes. So many that the entire industry, not just the concept, was out of existence in less than five years. It was tough to go through the loss back then. However, today I look at that failure as a blessing. That experience allows me to teach others how to avoid making mistakes. It comes from real life experience. I always say, if you were fighting a battle in a foxhole, who would you want in that foxhole fighting by your side: a professor who teaches the history of war or a Navy Seal? Today, it’s easy to figure out who is a ‘Navy Seal’ of franchise consulting. Just Google their name and check out their LinkedIn profile. At the very least they should have owned a franchise on a full-time basis. If they have a Certified Franchise Executive (CFE) designation after their name, even better. If the broker merely worked for a franchise company, that may not be enough experience, in my opinion. If they worked solely as a franchise development or sales person, they will probably be just selling you a franchise. Buyer beware - some brokers are extraordinarily good at it. It’s not necessary for your consultant to live in or be familiar with your area. Any great franchise company that you talk with will know who their ideal customer is and if they live in your area. The consultant will do a territory check in an area and if the company is good, they will not just sell a franchise without doing a market viability study. The franchise company knows by census tracks and in-depth marketing data, which is richer and more readily available than ever before, which towns and cities will be successful for their concept. The only task the consultant should be concerned with is whether you have the skills, personality and drive to make the business work. The consultant should know if the business fits your desired lifestyle and goals before they suggest it to you. Lastly, the consultant should only be talking to you about franchisors that have the systems, personnel and money in place to help you grow and be successful. Franchise opportunities come in all shapes and sizes. There are many brands that I know and love from the consumer perspective however I wouldn’t own one even if they gave it to me for free. Actually, before I recommend a franchise to a candidate, I study it and know in my heart that I would recommend it to a family member. There are lots of criteria to consider in ascertaining if a franchise company is worthy of your time and money. Subscribe to this blog for more on that. If you’d like, download my e-book, The Road To Franchise Freedom which talks about 21 common mistakes that first-time buyers make when investing in a franchise.